A pool renovation will bring your old pool back to life. From refurbishing, to decking/tile upgrades and water treatment equipment, Woodfield can make your pool beautiful again! We have over 25 years of experience in pool renovation and repair. A new liner makes your pool look beautiful and brand new! Prevent pool leaks for good. Repeatedly refilling your pool due to leaks caused by damaged liners wastes both water and money. A safe pool liner is smooth, wrinkle-free, and devoid of cracks and other damage that can cause injury to swimmers. If your inground swimming pool liner is wrinkled, cracked, faded or showing other visible signs of age, it’s time to get a replacement. As a full-service Maryland pool installation company, pool liner replacement is one of our specialties, and a great option for pool renovation. Damaged pool liners can cause your pool’s water level to drop faster than normal, adding hundreds of dollars to your water bill. Ripped, torn, or cracked pool liners can also injure swimmers with painful cuts and scrapes. Not to mention, damaged pool liners just look unsightly! A replacement pool liner gives your in-ground swimming pool a whole new life and makes your pool safer and more inviting. We have over 20 years experience in pool repair and renovation. Browse our portfolio of Pools and Water Features to see how beautiful we can make your pool! 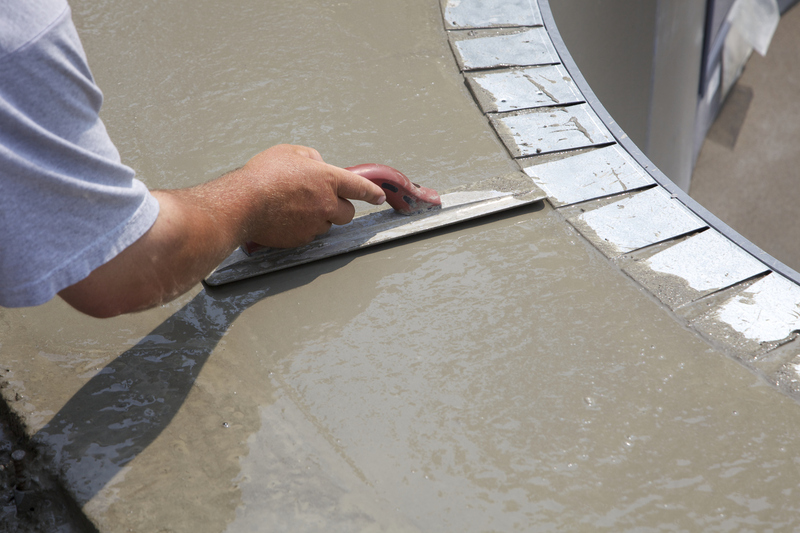 Looking to repair your pool instead of a full renovation? At Woodfield, we offer that service too. You can visit our Pool Repair page, or contact us to learn more.